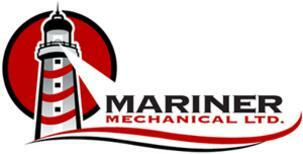 Calgary Commercial Plumber - Mariner Mechanical Ltd.
Preventative Maintenance Programs are a great way for clients to plan their budget for mechanical services. Each Program is tailor-made based on what you need now and may need in the future. Call today to have us review your system for you and build your custom program! At Mariner Mechanical Ltd., we have been in the business of building long-term, trusting relationships with our clients, giving them peace of mind. We have established relationships with property management companies, restaurant groups and senior care facilities. Most boilers have a life-cycle of 30-40 years when well maintained. Boilers require regular maintenance to keep them heating well. If your boiler is reaching the end of its useful life, let us replace it for you--you'll be glad you did! If you have any question concerning our services for Commercial Clients, please contact us. We'd love the opportunity to get to know you! For many of our clients who serve the general public, drain cleaning is a regular maintenance item for them. We can help prevent that blockage!